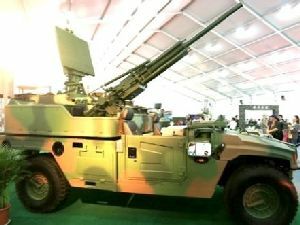 NORINCO represents the 81-mm self-propelled rapid-deployment mortar, based on the proven Type 99 (W99) 81.2 mm mortar system, which is analogous to the Soviet-style 2B9 Vasilek mortar. 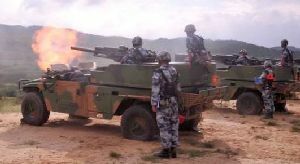 By installing the Type 99 high-speed mortar on the fast, highly mobile chassis 4x4, the SM1 provides excellent lethality and mobility in fast attacking operations. The main purpose of the 81-mm self-propelled mortar is the suppression and neutralization of targets opposing motorized infantry. It can also fire aerosol, incendiary and illuminating projectiles. 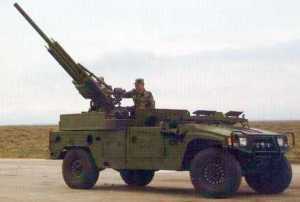 The vehicle can be used for fire support of airborne assault. As a base SM1 is Dongfeng EQ2050 4x4 light tactical vehicle. It is powered by a Cummins EQB150-20 diesel engine with a power output of 150 hp, produced in China under license. The suspension is independent, based on vertical springs. The rear of the chassis is equipped with weapons and ammunition. 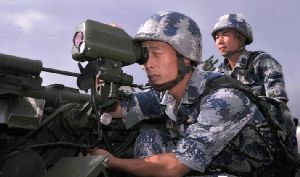 Type 99 mortar has horizontal guidance of 360°, and can be guided vertically in the range from -1° to + 85°. The guidance drive is manual. 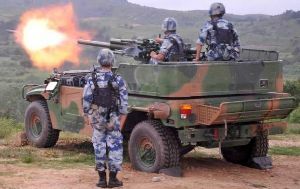 Type 99 - smooth-bore breech-charging low-pressure gun with automatic recharge. The mortar receives ammunition from the cassettes for four mines. The maximum mortar range is from 6 to 8 km, depending on the type of mine and charge. In addition, direct fire is provided. For two types of fire - mortar and direct fire, there are separate sighting devices. 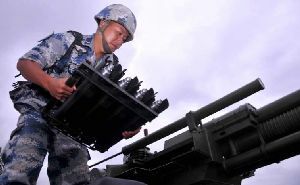 The ammunition of the self-propelled mortar is compatible with all existing Chinese mines of 81.2 mm caliber. This can be fragmentation, smoke, incendiary, lighting and other types. Against armored vehicles, it is proposed to use a special cumulative projectile. Mines are transported in stacks in rectangular metal cassettes, four pieces each. Preparation for the first shot is done manually. At the moment of the shot, the moving parts of the implement, under the action of recoil, begin to shift backwards, compressing the return spring. When they are reversed, the next mine is extracted from the cassette and then fed into the trunk chamber. Such automation allows obtaining a technical rate of fire at the level of 110-120 rounds per minute for one cassette. Practical rate of fire (with the replacement of cassettes) does not exceed 40 rounds per minute. The vehicle has advanced controls for shooting. At the disposal of the gunner there is a satellite navigation system, coupled with devices for receiving and processing data. With the help of such equipment, data are calculated for shooting. The crew of the vehicle consists of 4 people - the driver, the commander, the gunner and the loader. During the movement, two crew members are located on the seats in front of the cabin, one of them is the driver. The gunner must be in its place. 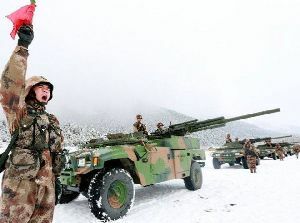 Together with the SM1 self-propelled mortar, a VPY-001A ammunition transporter is used. It based on a Dongfeng EQ2050 with a full body. Dimensions of the body can accommodate up to several hundred mines in the cassettes. 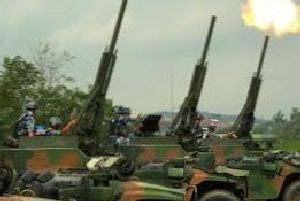 Depending on the tasks assigned, the transporter can transfer ammunition in the parking lot or provide the supply of mines directly at the firing position. At present, the vehicle is operated by the PLA and is in serial production.